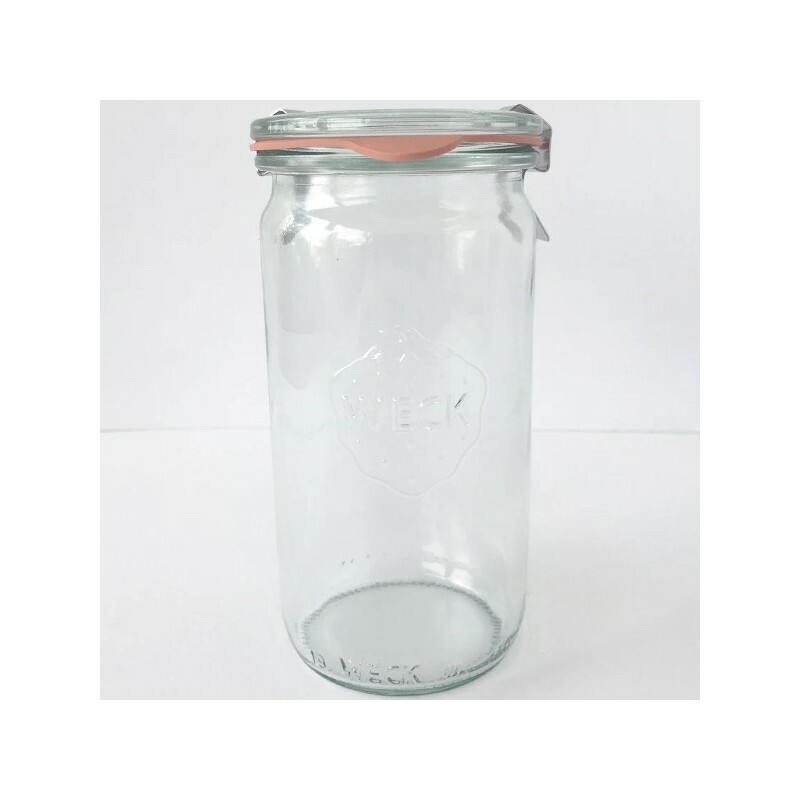 This Weck glass jar is perfect for canning and storing your own homemade preserves.340ml. Take your glass jar to a bulk refiller to save money and help eliminate plastic waste. Glass lid and rubber seal closure with stainless steel clips, eliminating the issue of rust. 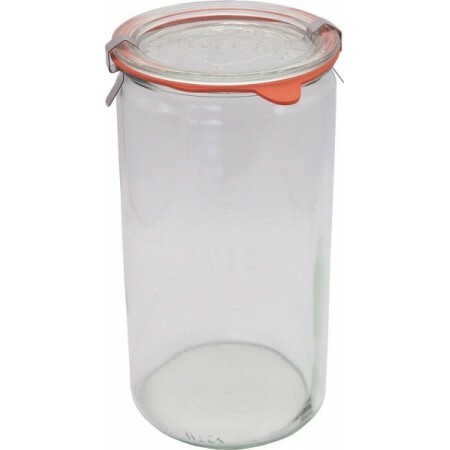 Wide mouths are easy to fill and smaller Weck jars can be stacked easily on top. Thick glass made to withstand boiling, sterilising and processing many times. 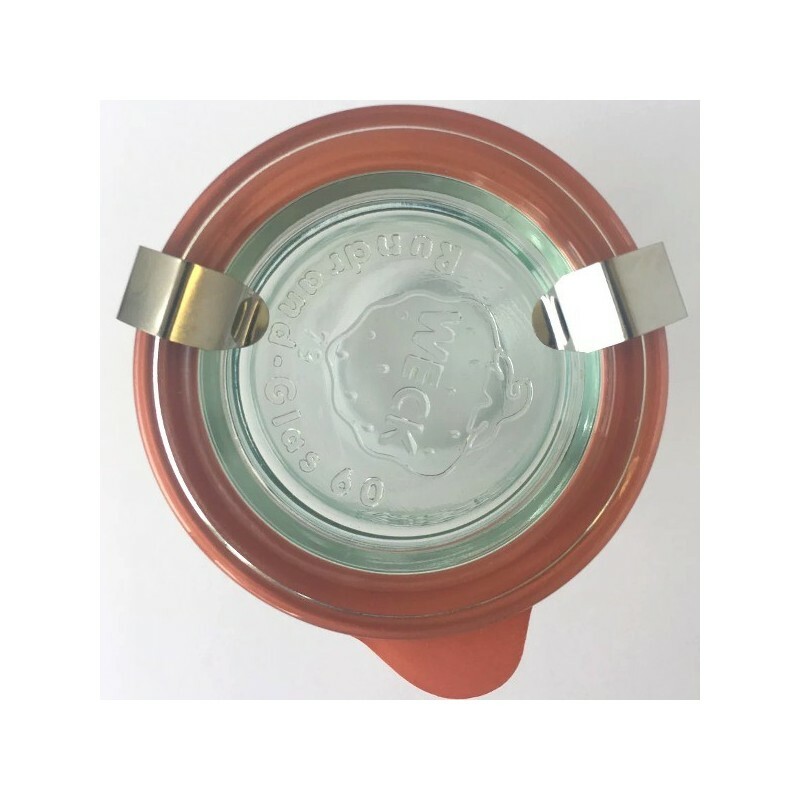 BPA free rubber seal - flip the seal facing down and pull tab to check for airtightness. Tall, narrow jar economic on space. 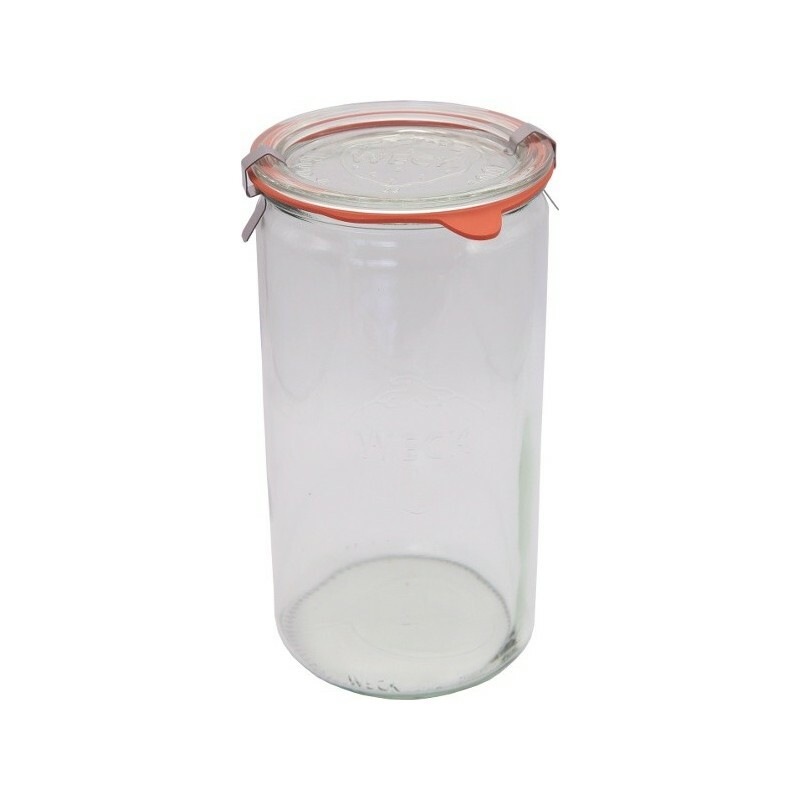 340ml / 13cm height x 6cm diameter / Glass, BPA free rubber seal, stainless steel clips. Founded in Germany. Made in the USA.